It has been a busy day for the Shamrocks. 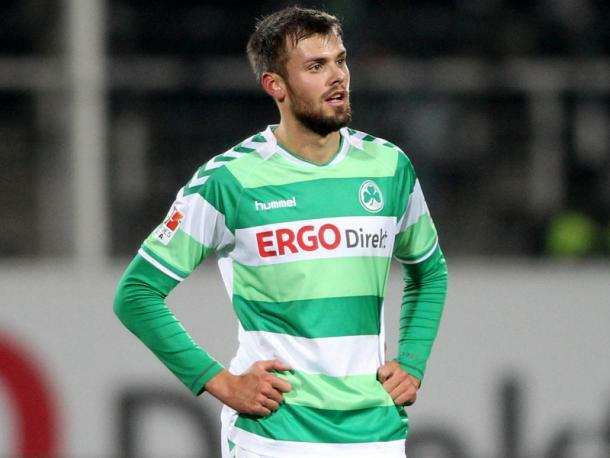 Greuther Fürth have announced the arrival of Roberto Rodriguez and Ante Vukusic, and confirmed the departure of Stefan Thesker. Rodriguez arrives on loan until the end of the season with Vukusic also on a short-term deal. Thesker will join up with FC Twente for the remainder of the season. Rodriguez has been recruited from Serie B side Novara, and can play on either wing - although he is primarily a left-sided player. The brother of Francisco and Ricardo will be in be direct competition with the former, and the possibility to play the latter if the Shamrocks earn promotion. The 25-year-old could be joining on a permanent basis in the summer, with the option to buy also included in the deal. After being without a club since October - after his contract was terminated at Pescara - the Croatian has a new home. The 24-year-old forward has been on trial with the 2. Bundesliga side for the last week, and has impressed enough to earn a contract until the end of the campaign. While with Hadjuk Split, Vukusic was a hot prospect and two impressive seasons seen hit shoot to prominence. However, he has failed to reproduce that form. The defender has fallen massively out of favour with Stefan Ruthenbeck after a string of bad performances, meaning he has been left to play for the under-23 side. The centre-half will be hoping he can prove to Ruthenbeck he does still have a future with the 2. Bundesliga club, or maybe earn himself a move away from Fürth. Thesker is no doubt looking forward to a fresh start, and could open up a spot for another defender to arrive at the Trolli-Arena.